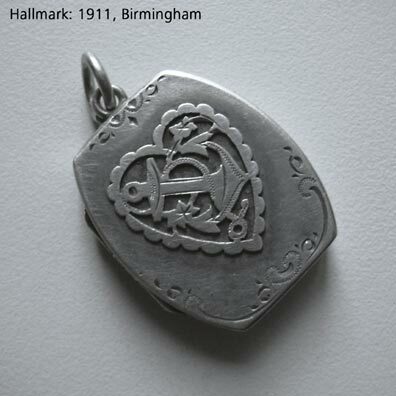 Found in the grounds of a medieval manor house, this pendant is hallmarked as sterling silver and dated 1911. Silver doesn't really corrode in the ground, and is therefore usually found in much the same condition as the day it was lost, aside from accidental damage from farming activities. This was probably given to his sweetie by someone with a naval connection. Inside it has two frames, which clip into the lid and the base, for holding small pictures.